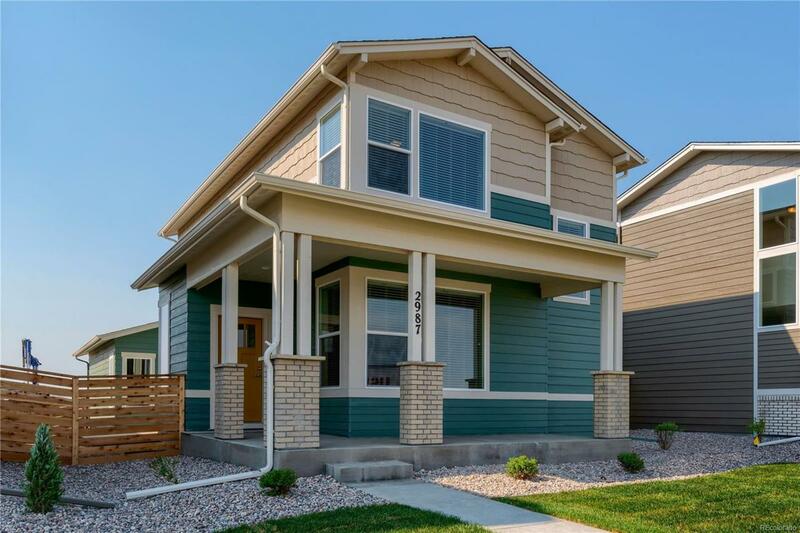 The Edison; a charming 3 bedroom, 2.5 bath Craftsman with open-concept main floor living with 9 ft ceilings. Enjoy the outdoors with a wraparound front porch and side patio. The kitchen features an island, quartz counter, pantry, stainless refrigerator, dishwasher, microwave, double oven & electric range. Master features vaulted ceilings & walk-in closet. Central A/C & oversized 2.5 car garage. All this just minutes to Old Town Fort Collins, I-25, shopping & amenities. Move in Ready! !